On 6 November 2012, Californians will vote this historical Proposition that would require genetically modified foods in supermarkets to be labeled. The Prop. is also known as “The Right to Know Genetically Engineered Foods Act”. I find really interesting the emphasis one the expression “Right to Know”. The new Regulation EU n. 1169/2011 on the provision of food information to consumers, adopt the same semantic expressions, stressing that the labeling is strictly related to the consumer’s right to be inform. These rights are important, there is no doubt about it; but in this case the real problem regards not only information, but mostly science. The U.S. Federal Drug Administration for now does not require labeling or health and safety studies for these foods, even though recent independent studies show links to allergies and other health risks. Some other unintended problems are an increase in pesticide use, weed resistance, the development of super-weeds, harm to bees and animals, and contamination of non-GMO fields. Who really knows? We do not have real long term studies about them. In the EU there is a “Precautionary principle” (art. 7, Reg. EC 178/02), that is maybe too often used to stop scientific progress on food production, but today what proof FDA has to be sure that GMO are safe? Why more than 50 countries (EU, Australia, Japan, China, Russia…) have banned or strictly regulated GMO? 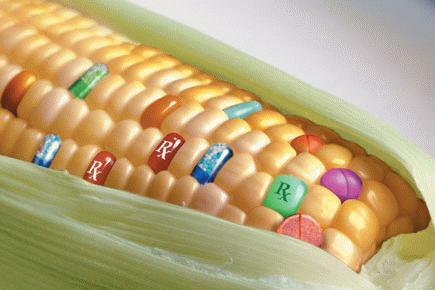 In the U.S., today, is estimated than 70% of processed food contains GMO. It is really a big business, and if the voters will approve the Prop., that could determine a changing in FDA positions and in the global market of GMO.